My black-and-white rear camera system had died, and now I needed to find a replacement. 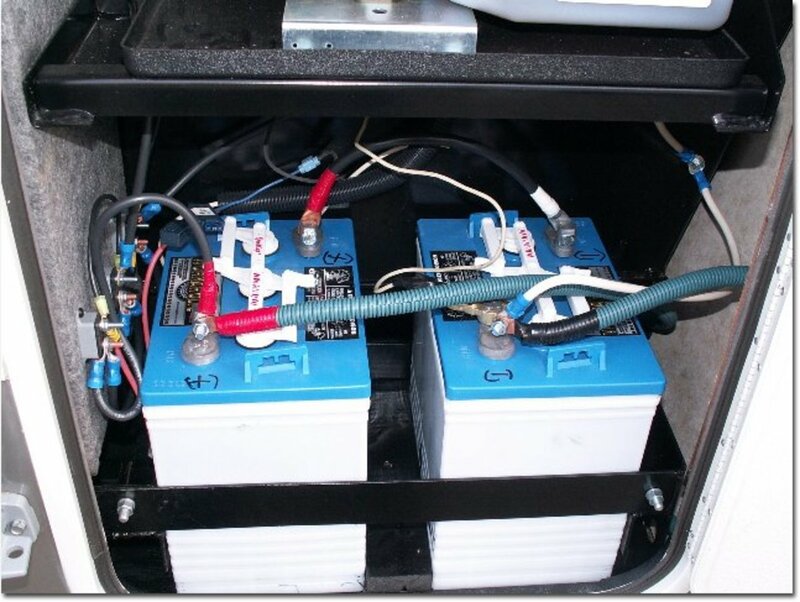 The system in my motorhome was the standard old Westek B&W system that is installed in tens of thousands of motorhomes still running around the country. Like mine, these older camera systems are starting to reach the end of their life expectancy, so I thought my search and selection might be of interest to my fellow RV owners. 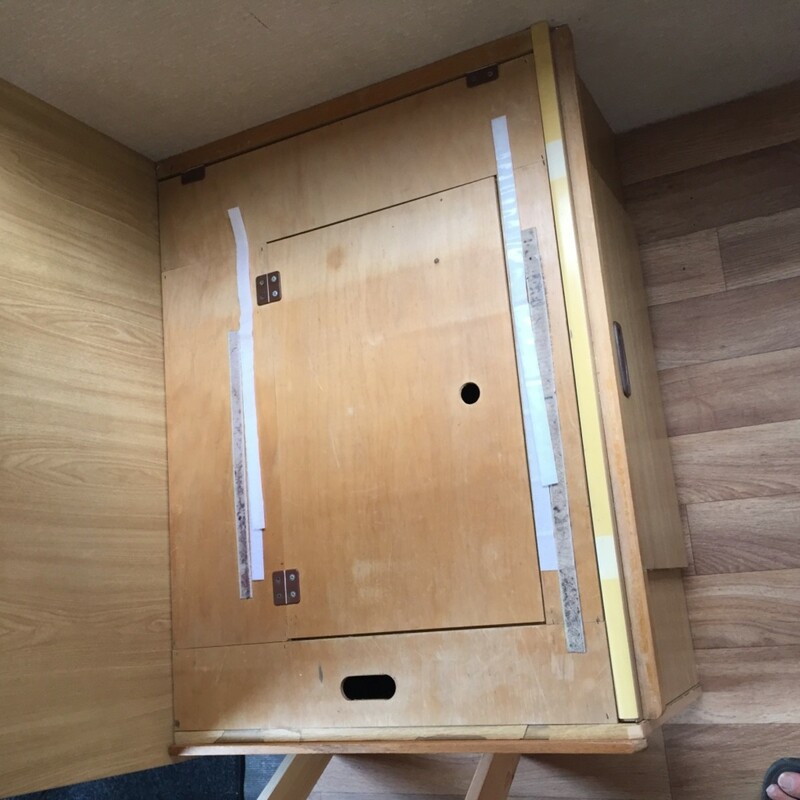 I successfully found a good American-made system and figured out a way to install it in my RV. However, if you’re not good at, or comfortable with, working on a project like this, then I suggest you just go on over to your local Camping World or other RV service center and write them a check. They have systems that will work for you, and they’ll upgrade your system for you. But it’s going to cost you a lot more than my “jackleg” upgrade cost me. 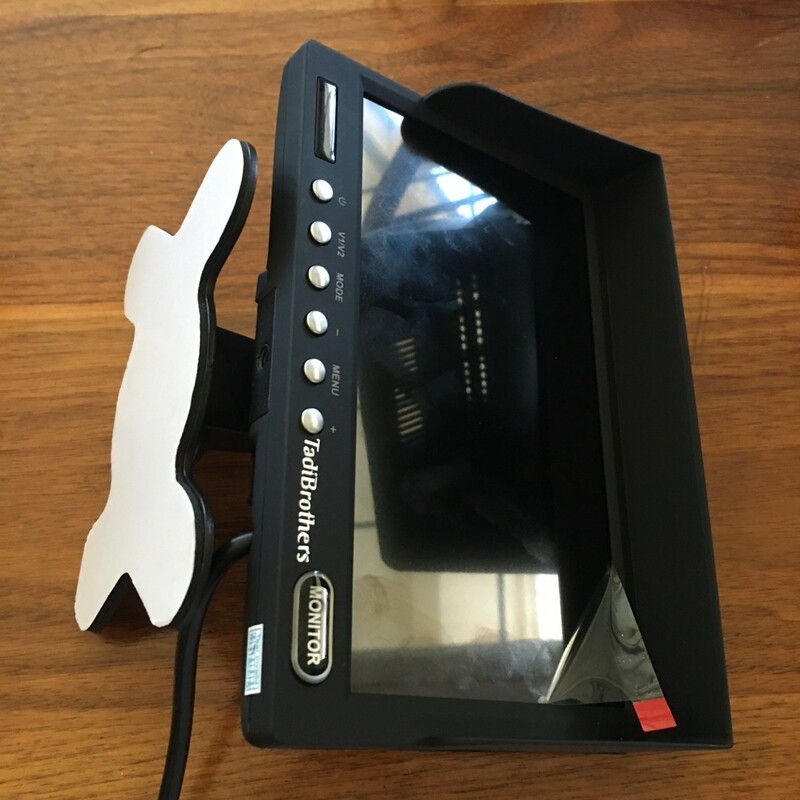 Your old camera and monitor system is hard-wired and uses a standard 4-wire cable with standard (not mini) DIN connectors. New camera systems tend to use 6-wire cabling to allow for more connections and controls to the rear camera. They also use a DIN connector but it is a “mini-DIN” connector. 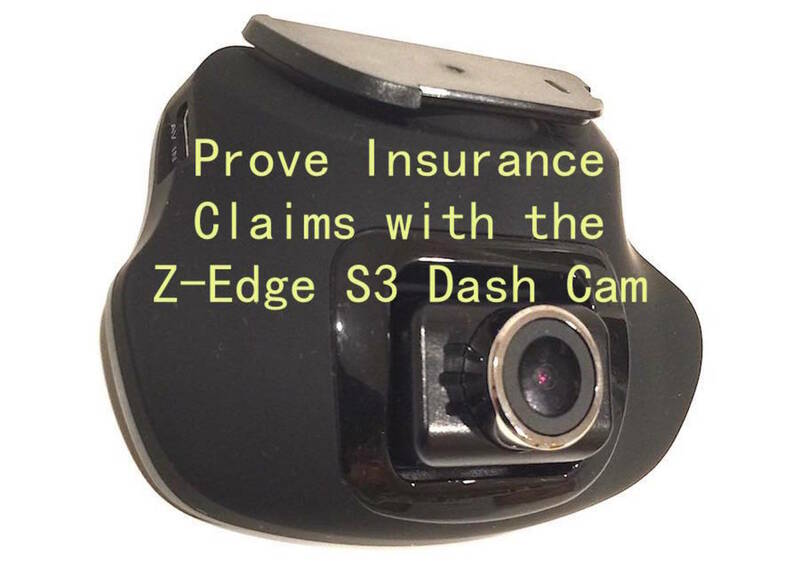 There are literally dozens of wireless rear-camera/monitor systems on the market but… for most larger motorhomes, semi-trucks, and tow-truck/towed-camper systems the distance between the camera and the monitor make reliable WiFi (wireless) connections almost impossible. I have read so many bad reviews of different wireless and wired systems made in China that I would suggest that you be very wary of these products. 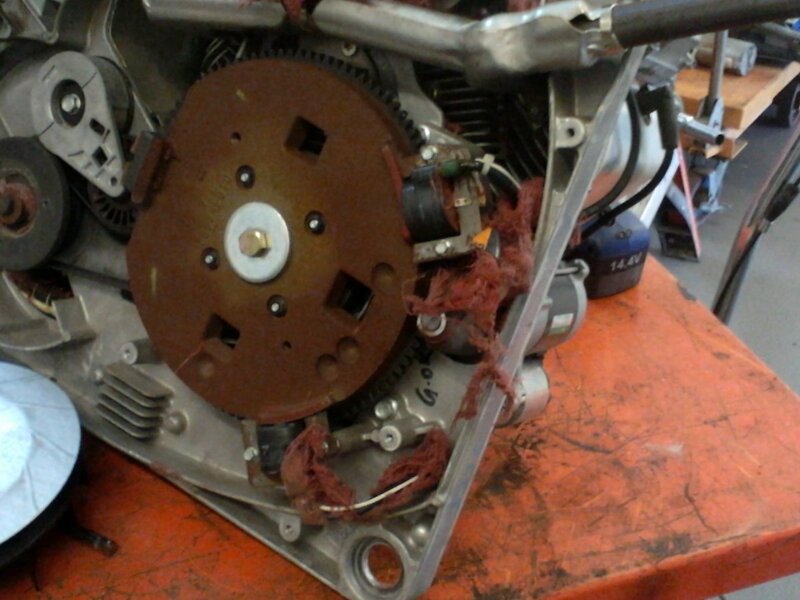 Sure, they have a cheap price, but you really don’t want a cheap piece of equipment that doesn’t work. My search led me to a number of interesting wired camera and monitor systems, but many of them were more expensive than I really wanted. My motorhome already had the older 4-wire cable run from the site of the rear camera and to the overhead site where the monitor was mounted. So, the simplest thing for me to do was to reuse this perfectly good cable rather than have to go through the tedious process of routing a new (and expensive) cable from the rear to the front of my motorhome. So, after a phone call to the company called Tadi-Brothers, and after asking a number of questions of their customer service rep, I finally ordered my new system. At first glance, this was not a simple bolt-on job, though, so let me explain what I got in the box from the manufacturer, and then what my plan was. So, as you can see, I had a number of things to sort through and figure out in order to get the right signals and voltages connected to the camera and to the monitor. After looking at all of the different adapters, cables, and such, the job seemed to be pretty complex—but I calmed myself down and went over what I had versus what I really needed. First of all, I examined the new camera. The camera actually only uses three connections: video output, 12-VDC input, and ground. Once I realized this, my collection of adapters were easy to sort out for the specific one I actually needed. The original 4-wire cable already installed in my motorhome only used these three connections plus one more for an audio connection. That’s all! In addition, the camera I had ordered did not have an audio mike built in, so I didn’t even need to worry about this connection. So, knowing the rear wiring needs, I tore out the old camera mount, mounting panel and all. And I immediately saw my first problem. The old camera was itself made by Westek, and its mounting system entailed 4 screws on the sides mounted to two brackets, which were a part of the rear camera bracket. Surprised by this new situation I figured that a beer was now in order, so I brought the parts back to my house and stared at my problem for a while. I even slept on the problem for a couple of days before I came up with the following solution. The Westek camera was no longer available, so a direct physical replacement was not an option. My new camera used two mounting screws, one on each side. The hole in the real camera mounting panel was larger than my new camera. 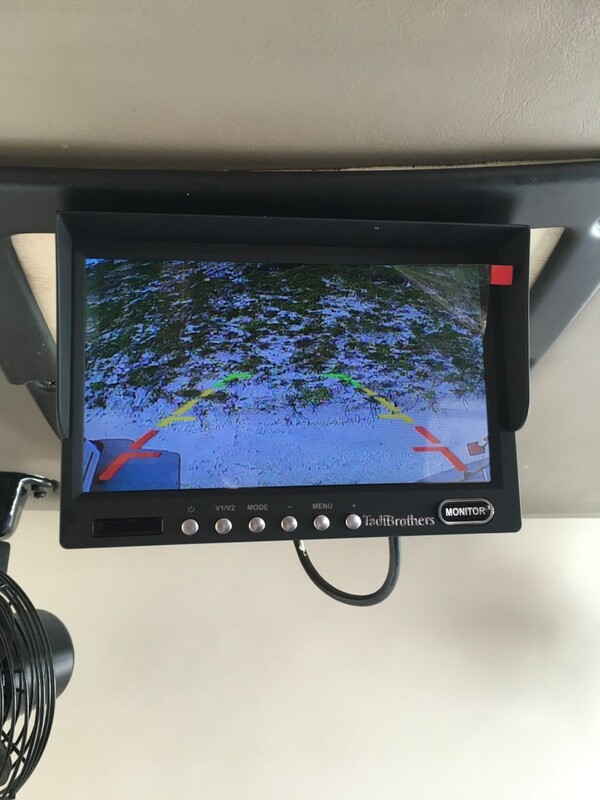 Luckily, the mounting panel itself was designed so that when it was bolted to the motorhome, the camera would already be pointing down at the appropriate angle. 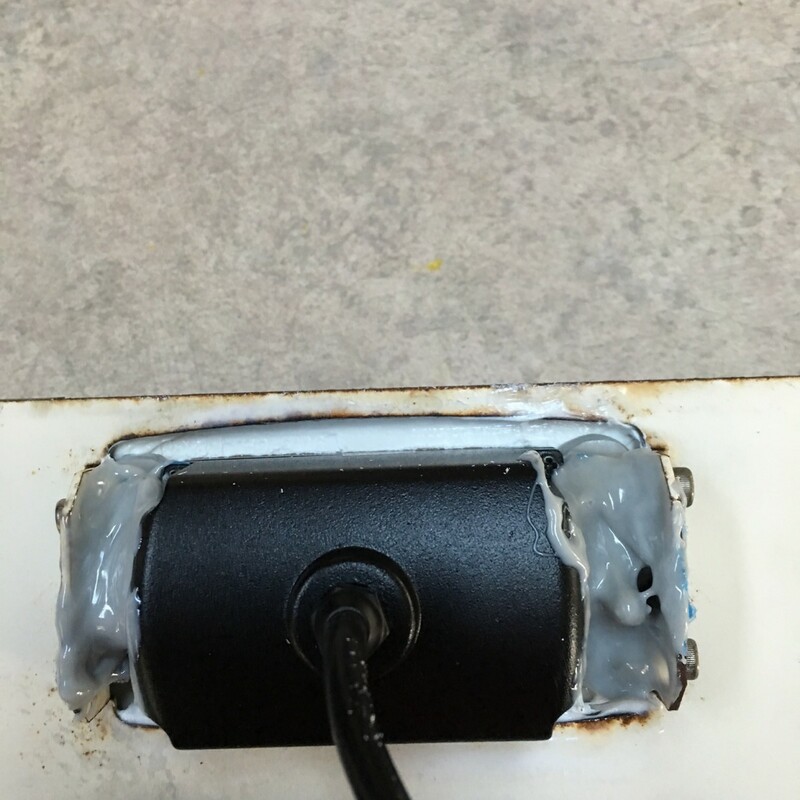 Once I understood these things, I decided to build my own mounting system, and it was going to involve the judicious use of epoxy and a modified house receptacle panel. I did a couple of things to mount my new camera to the original mounting panel. I went to the hardware store and purchased a cheap white home receptacle cover. Using a knife and a file, I cut out the center opening until my smaller camera fit tightly when the cover was placed over the camera. I then placed the two screws into the sides of the camera, I placed two screws into the original camera mounting holes, and I placed two screws into the front plastic panel I had modified. Using some masking tape I put all of these parts together and what I had was several screws sticking out near each other. So, after a few well-placed pieces of masking tape, I mixed up some epoxy and poured it over the ends of all of the extended screws. The next day? I had a solidly mounted camera in the motorhome bracket. So, I connected it to the old cable, and went inside my motorhome to tackle the monitor. Removing the old monitor and installing the new monitor was a lot easier. The whole monitor is removable just using a screwdriver. And once done, you have two cables hanging down from the hole. One cable contains the 12V DC and ground wires. The other cable is the other end of the already installed old 4-pin-DIN cable. Again, I looked at the pile of cables and adapters sent to me by the manufacturer and I quickly found the combination I needed and threw the others into a box. When it came to mounting the new slim 7-inch monitor, I had to do a little woodwork. The hole in the cabinet above the dash was around 10-by-10, and the old mounting used a removable plastic molding. The molding was held in place with six screws, so I made another trip to the hardware store and had them cut me a piece of 1/4-inch plywood that fit into the plastic molding. I mounted my new monitor to the piece of plywood, and then I drilled a 1-inch hole in the plywood for the wiring connections to pass through. After this, it was a simple thing to connect the cables and wires through the large hole, and mount the monitor to the plywood with one of the provided mounting adapters. Once done, I fired up my motorhome, pressed the power button on my monitor and there it was: the rear area behind my motorhome, in living color. WOW! Note: The connectors provided were for a number of other systems and additional cameras, etcetera. So, essentially, the manufacturer decided it was easier to mail out a kit that worked for multiple camera/monitor systems, and then the customer could figure out what connected to what. Note: The connectors supplied worked well, but I did have to strip and solder the DC voltage and ground wires. This was easy for me, but if you aren’t handy with a soldering iron, you will need to go to your hardware store and purchase some kind of clamping connectors such as “twist-on” caps, or “crimp-on” connectors. Overall, I did spend several hours dealing with the rear camera, trying to figure out how to adapt my new camera to another camera's mounting system. But, a small tube of epoxy can fix a lot of things like this, and it worked out great for me. 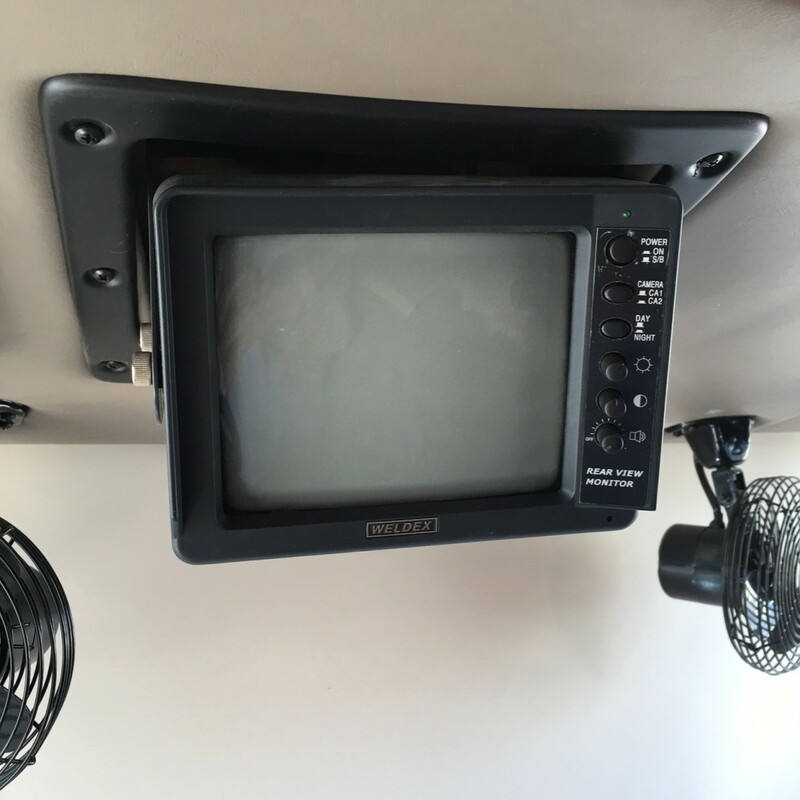 If you do decide to do this upgrade yourself, you can save a lot of money, and end up with a nice, color, American-made, camera/monitor system in your motorhome. P.S. I will be reporting on any problems that might come up. Did you use the existing cable from the back camera to the front for video and was the old camera hardwired? Most of the older rear cameras were hardwired. Yes, in fact, I selected an appropriate new color system that could use the existing wiring, and it is still working great. I was lazy, and I didn't want to neatly run a new cable from over my dash to the rear of my RV. I get good quality color video and even audio from the mike built into the camera. 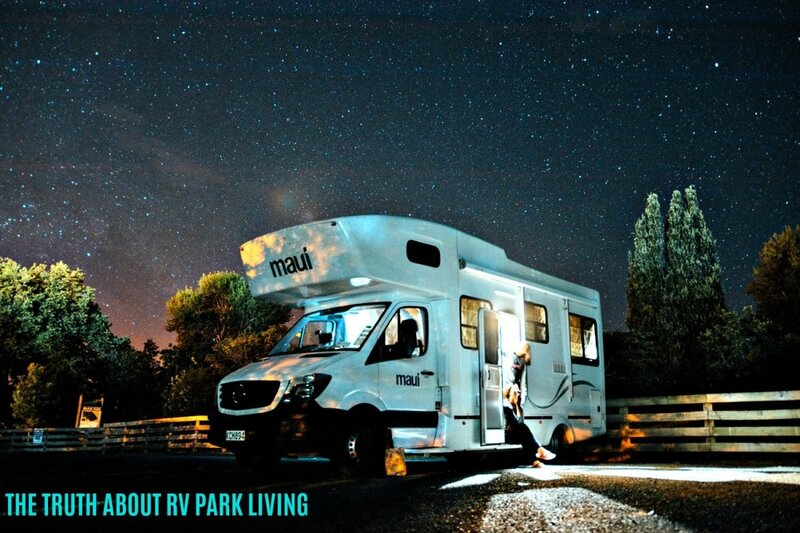 What RV model system did you purchase? Mine was by Tadi-Brothers, as you can see in the article. 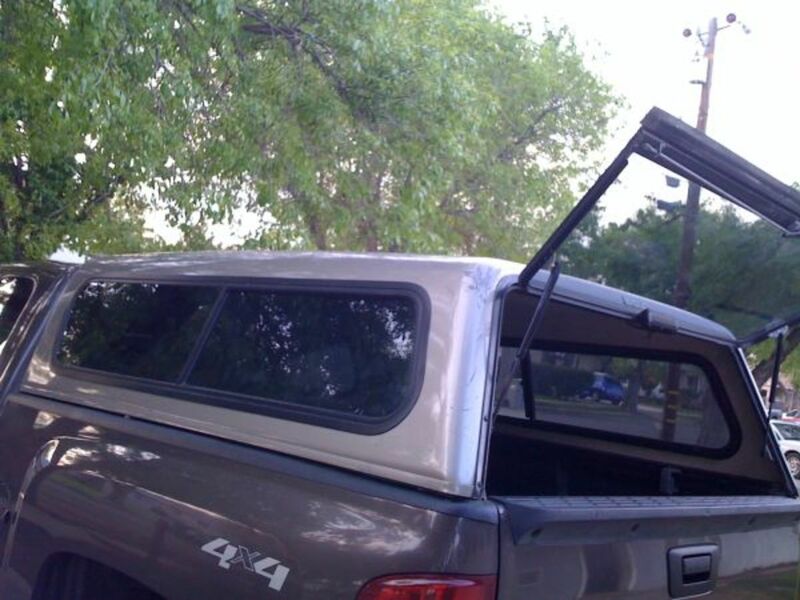 I don't remember the exact model but you should be able to see it on their website. I worked for a 4-wire able and it had the main camera connection as well as one more camera. When you went from the three wire system on your old camera, did you color code to the same on the new wiring? Frank - Actually the installation was pretty easy. 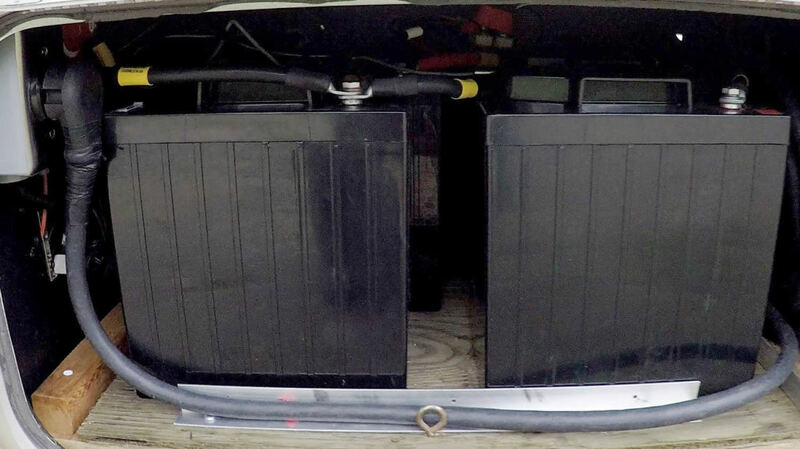 1- The existing wires in the Rv were "spliced" to their clearly marked counterparts and then tightly taped. 2- With the monitor, for my Bounder, I had a piece of 1/2-inch thick plywood cut that would fit into the hole in my dash ceiling. 3- Before mounting the monitor, I drilled a 1/2-inch hole into the center of the plywood for the monitor wires (connector) to fit through. 4- I didn't have to use any adapters for my connections, only well "spliced" wires and tight electrical tape. 5- The thing that took the most thought was adapting the NEW camera to my old existing camera mounting plate. As you could see in my explanation, I had to "Epoxy" the camera in place on the plate to make sure it was firmly mounted and would not vibrate loose over time. 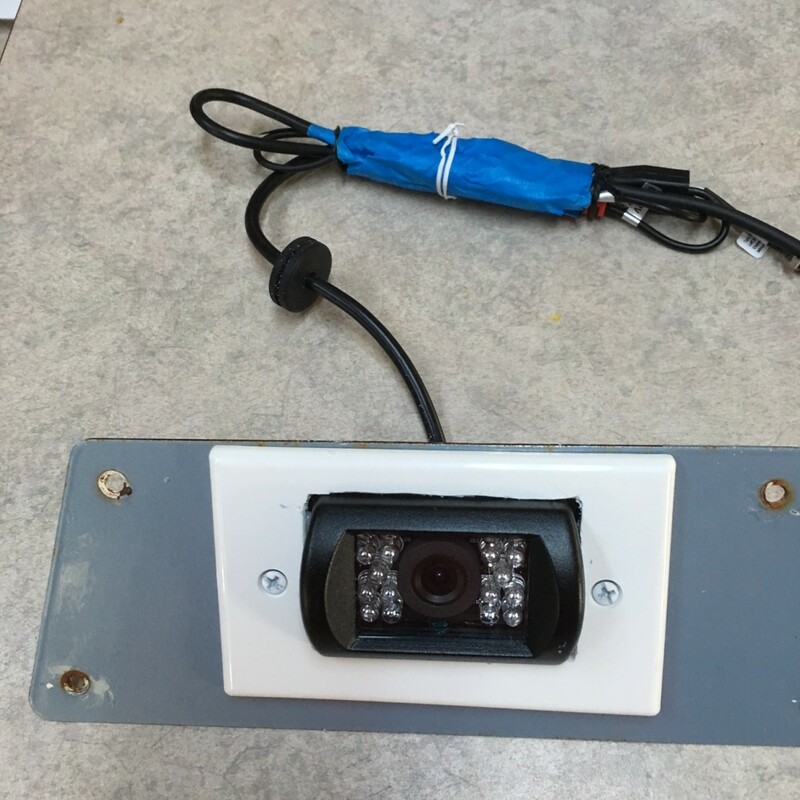 the picture you posted for the back up camera is wrapped in blue tape can you tell me what connections you made using the existing wire to the new camera? How to mount the monitor using the existing 4 din pin. Did you use any female to female connectors in this process? We are installing a camera with two side mounted cameras right and left. Dell Parr - I mounted my monitor (which had it's own bracket, under the center of the overhead cabinet below where my old TV (that i also replaced). This way, it is just a quick glance above my head when I'm driving and parking. Don, first let me say thanks for documenting this for the rest of us. I did not realize how poor the motorhome cameras are until I drove a rental car with a real camera. You would think a 2013 would have a better system. Anyway, it appears that your monitor is not built into the dash with your radio/dvd? How/where did you mount your new monitor? In place of the old one? what about the side cameras? Great Gene, Glad I could be of some help to you. Takes me back! What fun it was to have the freedom of the roads. Hope you still enjoy your motorhome. I decided it was time to scale down to a car, but I really envy you. Have a great time with it.